Welcome to patch 5.16, the one where juggernauts exist, defensive items get a pass and Zed actually gets buffed. Before we dive in, let’s clear some things up for all the esports fans out there - 5.14 (the one with crazy Elise, #bigsorry) will be the one that the rest of playoffs including the gauntlet will be played on. 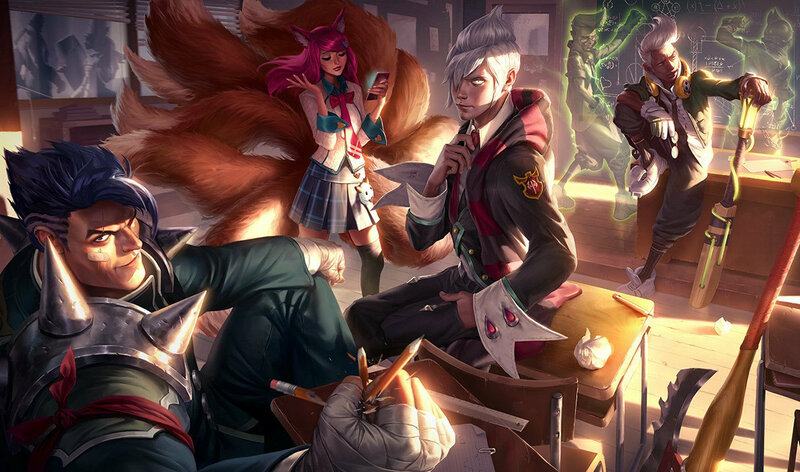 Worlds will be played on 5.18, which means while we totally hear you about these changes being pretty huge before worlds, we’ve set aside the next two to react and tune as necessary (read: lighter touches) before these changes hit the big stage. With that out of the way, on to the main event: Juggernauts. If you haven’t heard that phrase, brace yourselves: searching at the time of this post says we mention the word 13 times; So what are they? When we think juggernaut, we think of champions like Nasus - hulking, durable melee threats that rip teams to shreds if left unattended, but short-ranged and slow enough to be kited for days. They’re workhorses, but they need a bit of work to get going. So if you start seeing crystals in the jungle and ghost-dragons in your midlane, consider yourself warned - the juggernauts are here to stay. As for the rest of 5.16, we’ve got our usual host of item and champion changes (albeit a little bigger) to keep things balanced and diverse as we turn our focus towards the World Championship. We’re not looking to shake the game too much after this, but we’re touching up some old pro-play faithfuls (Kassadin, Leblanc, Zed) and tuning down some top-tier titans (Rumble, Viktor, Alistar) as players enter the final leg of the race for the Summoner’s Cup (or for the other 99.9% of us, those sweet end-of-season rewards). So strap in, queue up, and enjoy the ride. There’s a lot to explore and discover in a post-5.16 landscape, and there’s tons of LP up for grabs. We even buffed Lee Sin. What a time to be alive. Darius released far weaker than his juggernaut brothers, mostly due to the extra gameplay added to Decimate. We're still keeping the gameplay (we like that part), so we're making it more rewarding when you swing your axe correctly. Oh dear. Skarner released at the strongest state we've seen a character...pretty much ever. While the below changes might look like a lot, these were all added on towards the end of his development cycle as a result of feedback on the PBE. We shouldn't have listened quite so well. No hard feelings, PBE. Garen, Darius, Skarner and Mordekaiser have received gameplay updates. We’re calling them juggernauts. 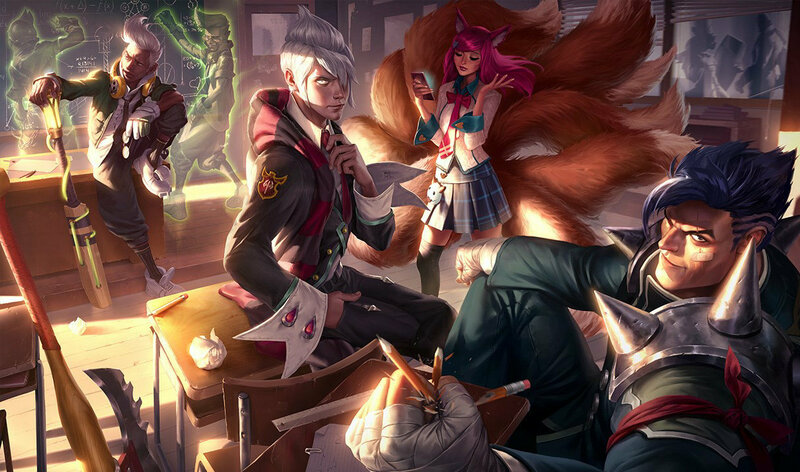 Any time we make an update, we’re aiming for two targets: that every game of League feels meaningfully different based on the champions in it, and that each champion in League feels distinct. That might sound like an enormous goal (probably because it is), but our plan is to break them down into groups that share roughly the same strategic or tactical niche and start solving from there. By hitting a handful of champs at a time we can address a few groups struggling in one go; the first of which are the lumbering giants of melee-ranged obliteration heretofore (affectionately) referred to as juggernauts. Tanky melee carries walk the line between power and peelability, but in order to find distinct playstyles for each of these four champions, we looked to add a little more uniqueness where we could. When two champs play the same way, you just end up picking the one that’s better. We’re working to change that - shifting each champion’s power so that their highs and lows are both deeper and more differentiated from others in the same role. Kicking off our dive into the juggernaut update is the dunkmaster himself, Dario Chopman. Notorious for his blood-fueled multi-kill potential, Darius’ fantasy was just that - a fantasy. In reality, he’d build damage and die before posing a huge threat (often trading his life for a low-priority target), or stack defences and become the Wet Noodle of Noxus. Tack on the juggernaut’s plight of ‘why pick me over other fighters?’ and Darius is in a pretty rough spot. While not the cure for everything that ails him (it won’t magically give him dashes or a cool haircut), Bloodrage is all about letting Darius realize his ‘pentakill-in-a-china-shop’ fantasy, letting loose on enemies after maxing out his passive. In other words, he’s going to try his hardest to mosh with his opponents (alongside new tools like Decimate’s heal and Apprehend’s slow for staying power), and it’s on them to keep his rampage to a dull roar. We’ve taken down some of his damage before he hits Bloodrage, but once he gets going things start to get pretty crazy. That’s the gist of Darius’ update. Check below for the nitty-gritty details, and we’ll see you at after you’re done. Technically you could just skip to the next section, but we’d be disappointed. Not mad, just disappointed. Attack Range up. AD, Health and Armor per level up. Base AS% and AS per level down. In addition to its current function, Reaching 5 stacks or killing an enemy champion with R - Noxian Guillotine puts Darius into a Bloodrage. During Bloodrage, Darius gains 40-200 bonus Attack Damage and applies max Hemorrhage stacks to enemies with basic attacks or Decimate's Blade. Now has a brief delay on cast. Hitting with Decimate's Blade now heals Darius. newDECIMATE THE MEEK Darius now heals for 10% of his missing Health for each enemy champion hit by Decimate's Blade, up to a maximum of 30%. Slow heavily increased. No longer slows Attack Speed. Apprehend no longer pulls champions that escape the area, but briefly slows enemies hit. Perhaps the least changed of the juggernauts overall, Garen’s always been the iconic ‘white knight’ for League of Legends and not much else. An effective damage dealer and off-tank in his own right, the G-man’s struggled to find a home as anything more than a makeshift assassin, diving backlines in hope of delivering swift justice to anyone holding an Infinity Edge. We really dug that ‘justice’ part, which led us to discovering Garen’s identity - he leads the charge against the most vile scoundrels and makes them pay (and boy, does he never stop talking about it). Garen’s purpose in-game now matches his job description; protecting the weak both in game and out. His effectiveness as an ‘anti-carry’ extends the whole game long, adapting to your opponent's individual wrongdoings and throwing the rule-book at anyone branded a Villain. Though solo queue may be dark and full of terrors, Garen’s ability to flip the script on hypercarries-gone-godlike means that victory is only ever one ‘DEMACIA! !’ away, no matter how dire the situation. Lower health per level, but higher Attack Damage and Armor. Attack range increased. Normalized Silence duration. Movement speed duration lowered. Judgment's damage and tick-rate increases over game-time. Enemies with the most recent kills is branded a Villain. Garen hates those. Skarner Impaling enemies and dragging them away from their comfort zone is a unique and powerful moment that definitely sets him apart from the cast; the issue is figuring out what he does when kidnapping carries isn’t an option. Seeing how Skarner’s always missing his kind, we went for the 2-for-1 of curing his homesickness and giving him a unique identity by dragging some big ol’ spires from the Crystal Scar and droppin’ em on Summoner’s Rift. They’re not just for show, however - true to his nature as a diamond-encrusted energy scorpion (what a sentence), Skarner becomes infused with a boatload of combat stats when he’s near them, making him the scorpion to go when it comes to map control. Capturing and controlling these spires becomes a game within itself, denying Skarner’s rampage or letting him gleefully wreck through the jungle like a kid in a crystal store. No matter what position he’s played, Skarner’s dominance over these choke points make him an experience that’s clearly differentiated from other fighters, especially if your team’s goal is snatching all of the neutral objectives you can carry. Lowering Movement Speed and Health per level in favor of Attack Damage scaling. Skarner's presence causes crystals to spawn in set locations around the map. Crystals can be captured by either team by standing on top of them. Capturing a crystal prevents them from being captured by the opposing team for 15 seconds. I MISS MY KIND While near active crystals, Skarner gains 100 Movement Speed, 48~150% (42 + 6% per champion level) Attack Speed, and restores 3% of his maximum Mana per second. Both charged and uncharged Q have traded base damage for a scaling ratio. Costs less Mana and can be cast more. Now scales with maximum health instead of having a base amount of shield value. Fracture now marks enemy champions and causes Skarner's next attack to damage and stun them. newCRYSTAL VENOM Afflicts targets with Crystal Venom for 5 seconds, causing Skarner's next basic attack against them to deal 25/50/75/100/125 additional physical damage and stun for 1 second. newENERGIZER SCORPION Crystallizing enemies with Fracture and Impale grants Skarner Crystal Charge (the buff for being near an active crystal) for the duration of the disable and reduces the cooldown of Fracture by the same amount. R costs less. Magic damage significantly lowered, but now deals bonus physical damage. Afraid of divers and assassins? Is your team stacked to the brim with physical damage? Have a penchant for going all-in with your support? Look no further - Mordekaiser’s one of our oldest champions, yet in that time he’s never firmly latched onto a particular role or position that fits him best. He’s just sort of always there, whacking dudes with his mace and stealing their souls. We think that part’s pretty cool, so we’re cranking his damage potential to the skies while optimising him as the farming half in a duo-lane. We’ll give you a sec to re-read that last bit. Mordekaiser’s update may not be for everyone, but his ability to shake up a game is undeniable. Toss in the fact that he can now steal the Dragon’s soul as a sieging tool, and bottom-lane Mord sounds more like A Real Thing and less like a Siv HD video. We’ll let y’all feel out how he plays in a duo lane, but don’t be afraid if you never want to go back to traditional lanes again. P.S. Try double Relic Shield with your support grabbing one too. It’s pretty spicy. Losing a lot of base stats in favor of scaling. Attack Range increased. Iron Man's shield can no longer decay below a certain point, and it now scales with maximum Health. Reworked. Mordekaiser’s next three hits are empowered. Each deals 2-3x the last by spell rank, up to a billion damage. new3-HIT ACTIVE Now empowers Mordekaiser's next 3 attacks. Each attack deals 2/2.25/2.5/2.75/3 times the previous attack's damage (so if your first attack does 100 damage, the second deals 300, and the third deals 900 damage). Mordekaiser and target allied champion gain 75 Movement Speed while moving toward one another. When close to one another, both deal magic damage to nearby enemies over 4 seconds. Mordekaiser no longer splits experience for any lane minions he kills. DAMAGE 140/180/220/260/300 over 4 seconds. AFFLICTION FOREVER At the end of Harvester’s duration (or when Mordekaiser reactivates it), he deals 50/70/90/110/130 damage to all nearby enemies, healing both Mord and his ally for the damage dealt. Deals much less damage and scales with total Attack Damage in addition to Ability Power. Now grants a bunch of shield on champion hits. Mordekaiser can steal the Dragon's soul. That's not a typo. newDRAGON FORCE Dealing damage to the Dragon curses it. If Mordekaiser's team slays it, the Dragon's soul is enslaved and follows him around. This removes any champion ghosts Mordekaiser has active. HOW TO TRAIN YOUR DRAGON While commanding the Dragonforce, Mordekaiser cannot cast Children of the Grave. Passive heals less at all levels. Since her return to the kitier, mage-ier (still a word) side of things, Ahri's benefitted from a pretty safe laning phase… which then translates to a 'pretty safe' mid and late-game, putting her dangerously close to 'good-in-all-situations.' We don't want to remove Ahri’s flighty spell-casting and all the skill that goes along with her bait-and-assassinate back-and-forth (teasing is kind of her thing), but limiting the amount of free sustain she's able to get - just for shoving minions waves - feels appropriate when maintaining her balance of risk vs. reward. IT'S REFACTORIN' TIME! Begone, spaghetti code. For a while now, we've been working behind the scenes on a lot of our code-base to find cleaner ways to implement our champion code and improve behaviour for some of our more… complicated (read: buggy) champions. Our first pass at this was our script review for Syndra's E->Q combo back in 5.13. This patch contains the first batches of fixes to Azir, improving the AI for his soldiers. As we move forward, you can expect more updates like these - script refactoring that result in fewer bugs, but not a ton of power shift one way or the other. Back to Azir. Being one of our more complex champions, the emperor demands a lot of attention - however, balancing him can be costly due to the scripting issues we just talked about. Our intention with the fixes below is to make Azir flow more naturally, thereby removing some unintentional barriers to learning the Emperor. Riftwalk now has an AP ratio. This ratio scales as you stack Riftwalk. Kassadin hasn’t been terrorising games much since he took up Rift-stepping, so we figured it was time to show him some love in the form of supporting his new hobby. While still potent as blinking damage-dealer, Kassadin often falls short due to the somewhat lacking rewards for closing into melee range. We’re liking how a shorter-Ritfwalk’s plays out while skirmishing, so we’re boosting his effectiveness for getting up close and personal. Flurry's energy return is front-loaded. 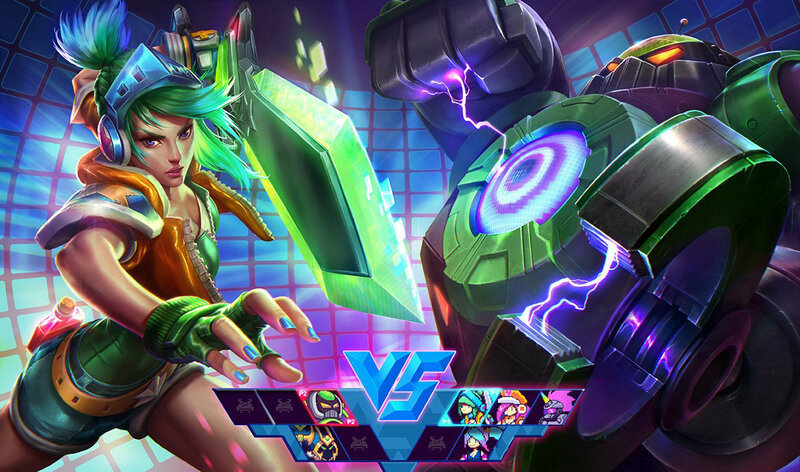 Kicking champions into other champions will deal more damage based on their bonus health. Lee Sin buffs. This is not a drill. For professionals, Lee Sin is a perfect champion; a strong contributor at each stage of the game, flexible in item builds and adaptable to almost any scenario. For the average player however, he’s that champion you wish you didn’t see on your team due to the sheer number of games required to reach a certain level of competency. Because of this, these changes are aimed at raising Lee’s floor (that is to say his ‘basic effectiveness’) rather than his maximum potential and give an edge to those players taking their first steps on the road of Blind-Monasticism. While those same top players will find these useful in certain scenarios, Average Joe Lee Sin should enjoy more fluidity as they climb the ranks. We still believe that a slower Distortion makes for better counterplay (and a better League overall), but it’s clear we took it too far. So now we’re taking it back. By half. Context. Self-casting R now heals Lissandra. Self-casting Lissandra's ultimate is a great option for surviving until another round of cooldowns, but can feel underwhelming in a desperate situation. While some players prefer to delete their enemies inside Frozen Tomb's stun duration, we're adding more nuance to the decision so Liss can feel better about pulling off her 'cooler' ice-block baits. Passive scales better lategame and does full damage to minions. W costs less, gives more movement speed, but has a shorter duration. Lucian's teammates can give him movement speed via W's mark. Sleek and stylish, Lucian’s another ex-pro pick fallen on hard times. Lightslinger’s ‘spell-weaving’ paradigm gives him a unique flair among marksmen, but hinges upon each spell being innately worth casting. Ever since lopping off Ardent Blaze’s AD ratio, the ability’s felt lackluster, so we’re pumping up its utility alongside some tuning to Lucian’s passive to make his ‘attack-cast-attack’ loop feel even more satisfying. new༼ つ ◕_◕ ༽つ LUCIAN TAKE MY ENERGY ༼ つ ◕_◕ ༽つ Lucian's teammates can also trigger Ardent Blaze's movement speed bonus for him. Despite his infinitely-scaling lategame, the laning phase has never been Nasus' best friend. While we don't want to remove his vulnerability to lane counters, tossing him a bone should help his stacking in certain situations, especially when navigating particularly dense minion waves. Passive gives more speed and has a higher AP ratio. Allies within Nami's Tidal Wave receive double the passive bonus. Between slinging bubbles, chain-heals and squirt-guns, Nami's identity has always been tide to empowering allies with cool water-magic. Surging Tides stood out as her least-appreciable form of enchanting, so we're boosting its super-effectiveness (particularly with AP) when surfing into a teamfight. newWAVE RACE Surging Tides' movement speed bonus is doubled to allies within Tidal Wave. R's cooldown increased. Equalizer's origin point starts closer to your cursor. When it comes to game-changers, there are few out there as impactful as The Equalizer - assuming you’re not just using it on a minion wave, knowing it’ll be off cooldown for a big fight anyways. We’re really focusing on separating the good from the great (hey Morello) Equalizers with this change, making every ‘zoning’ ult a call-to-action for the enemy team. Good placement will still win fights singlehandedly, but elongating Rumble’s reload-time should keep players asking ‘Is this ult worth it?’ before really committing to the cast. Important note about the cursor change - while this is a very slight nerf to the ultra-max-range use-case, the adjustment makes it almost impossible to over-shoot someone your cursor was on, as the Equalizer used to always start further ahead of where you intended it to go. This should help players that historically have trouble landing Rumble’s ult (read: everyone) lining it up correctly for the big play. Devour stuns very briefly and prioritises champions. R warns enemies 1 second later. Ol' Tahmmy Two-Coats is still hungry for attention as players continue to adapt to his charms (and appetite), so we're tossing him a few quality-of-life scraps from the kitchen table. These changes are focused on making some of his abilities more forgiving to use - especially when trying to swallow the correct living thing whole. R slow no longer decays, but enemies poisoned by traps are revealed. We're still evaluating exactly how 5.15's update to our lord and saviour is panning out, but we were already able to identify some places for improvement. It's been cool to see players utilize Noxious Trap's range flexibly for both teamfighting and minefields, but it's clear that Teemo’s traps have lost a lot of peeling power. Given that traps are now half their original duration, we think that there is room to return this safety so that even though Teemo's nest of ‘shrooms is smaller, each one is still an effective tool to be used for planning escape routes. Hex Core gives less AP when purchased, but more at level 18. All mana has been shifted from flat to per-level. Viktor’s rise to prominence this season has ushered in a new era as the voice of evolution, terrorising late-games and assisting many a wombo-combo. 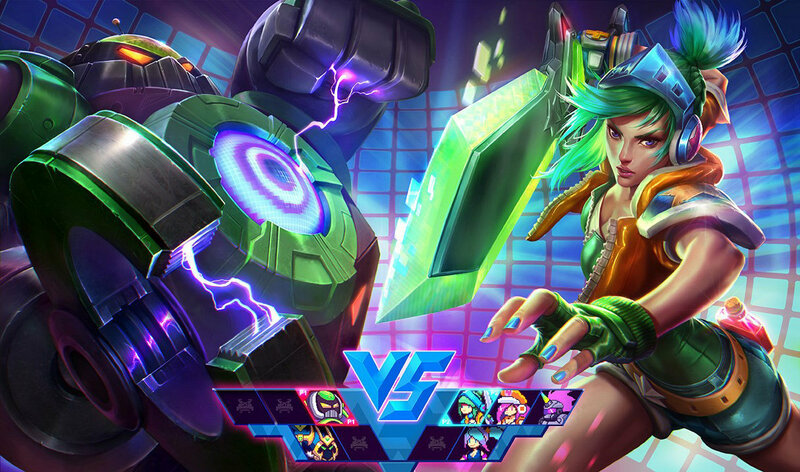 However, Viktor’s games have turned into an arms-race with few opposing mid-laners able to compete with the raw efficiency and wave-clear that his signature Hex Core brings to the Rift. Without downgrading Viktor too much, we’re refactoring his Hex-assisted power curve to better fit his ideals of evolution and provide opportunities for enemies to halt his rise to glory. Q's split has a shorter delay and longer range. Despite his incredible intellect and penchant for disintegration, Vel'Koz is a champion that's never really quite caught on. We're not overhauling anything major in this update; instead, we’re amping up a more of VK’s ‘mathematical’ specialties, no matter what lane he takes. Volibear explodes in lightning upon casting R.
Invoking the legendary Ursine 'Thunder-Claws' technique should be a powerful moment for Volibear, but leaves much to be desired as enemies can just bearly escape when channeling. Rather than ditching the cast-time and removing the tradeoff for Voli entirely, we're making it better for him to use in combat (as well as feeling pretty epic) in all situations. Balance is a fool's master. Rounding out our trio of assassin changes, we have Zed. Similar to Leblanc and Kassadin, we’re happy with the direction, but not the destination. We’re still leaving the swap-timer back in (because counterplay is neato), but tipping the scales back in Zed’s favor. 'New' item from Black Market Brawlers - grants armor, health, and ramping movement speed while moving. Basic attack drains your bonus movement speed to deal damage and slow. By the time you’re reading this, Dead Man’s Plate has already been available in-game for a bit (not to mention its tenure as a Black Market pickup), so we’ll make this short. Originally concepted as a juggernaut item before being shipped off to Bilgewater, DMP is a sort of ‘get-out-of-immobility-jail-free’ card for the more sluggish champions out there. It’ll only work once (as you lose all of your momentum upon attacking the target), but for those that care about getting into the fray and don’t worry about getting out, this item is for you. Singed. That’s basically what we’re saying. Buy this on Singed. ALL I WANNA DO IS GO FAST UNIQUE Passive - Dreadnought: You build Momentum stacks while moving up to 100, granting up to 60 bonus Movement Speed. Momentum rapidly decays while under immobilizing crowd control effects, and decays slowly while slowed. DAMAGE BOOST UNIQUE Passive - Crushing Blow: Basic attacks discharge all Momentum, dealing 1 bonus physical damage for every 2 Momentum. If 100 stacks are discharged, the damage is doubled; if this attack is Melee, the target will also be slowed for 75% (decaying over 1 second). Increases health and base attack damage. Upon taking a certain amount of damage you hulk out, gaining size, base attack damage and a shield. Tired of being told that you’re a ‘melee damage-dealer’ while being blown up at the beginning of a teamfight? Look no further - Sterak’s is here for all your berserking needs. In testing the juggernaut update and identifying problems with the class, we found that there’s a lot of ambient damage in big brawls, and no one catches more of it that they do. While a 5-man Command: Shockwave into committed AoE stacking will still probably wreck your body (and your entire team), buying Sterak’s poses an interesting dilemma for opponents; focus you down or contain you just long enough to deal with your team. You’ll still need to gage how much damage you can take (the thing’s not gonna make you invincible), but Sterak’s is a strong anti-aoe purchase to turn you into the raid boss you always knew you could be. Before we’re done, important distinction - Sterak’s gives base attack damage, so the attack damage before items. This means it’ll work wonders for total attack damage ratios and things like Sheen and Trinity Force, but won’t snowball your bonus AD ratios (looking at you, Jarvan). THAT'S MY SECRET, CAPTAIN Primal Rage causes your champion to gain increased Size, +25% additional Base Attack Damage, and a rapidly decaying shield for 30% of your maximum Health. It's like Ravenous Hydra. Except instead of lifesteal, it's got health. While the Black Cleaver fits its own archetype of spell-casting melee champions rather well, fighters seeking to just bludgeon the hell out of their opponents the old-fashioned way sometimes had issues getting the job done. Replacing lifesteal for health, Titanic Hydra provides a synergistic area-of-effect option for more basic-attack centric brawlers like Trundle and Shyvana to get to clobberin’ when the situation calls for a more defensive build. CLEAVE OF THE TITANS UNIQUE Passive - Cleave: Basic attacks deal 5 + 1% of your maximum health to your primary target and 40 +2.5% of your maximum health as physical damage to enemies in a cone on-hit (your primary target does not take this damage). ATTACK WITH TITAN UNIQUE Active - Crescent: Cleave’s damage to all targets is increased to 40 + 10% of your maximum health as bonus physical damage in a larger cone for your next basic attack (20 second cooldown). Costs slightly more. No longer gives health regen equal to your max HP. Now grants insane health regen out of combat once your champion has more than 3000 health. At present, Warmog’s is a serviceable option for anti-sieging in the mid-late game, but if there’s a theme with our item changes this patch, it’s sharpening their identities even further. While it’s losing its current passive in exchange, we’ve tripled-down on it’s application as an anti-siege tool by effectively replacing the need to recall and heal for those who invest heavily enough to trigger the health requirement. Warmog’s won’t make you immune to focus fire (Vayne exists), but it does allow you to tank javelins, artillery fire, and all manner of poke thrown your way without a scratch on it provided you take a break between beatings. Just don’t forget to flex. newTHE STRONGEST MUSCLE UNIQUE Passive - Warmog's Heart: Restores 3% of maximum health per second if damage hasn't been taken within 8 seconds. You only have Warmog's Heart if you have at least 3000 maximum health. Discounts on fighting mages, one step at a time. We’re practically giving this stuff away. Crystalline Bracer’s a neat but underused component, so we’re stickin’ it into more items. Costs less. Now has health regen for the buyer, but loses its health regen aura and part of its magic resist. As it is now, Aegis of the Legion (and Locket, which we’ll get to in a moment) are mandatory against teams with even the slightest penchant for magic damage, due to the ambiguous but powerful nature of it’s health regen aura. Changin’ up the build path and stat-lines to be more attractive to low-income supports, but less generically powerful. Costs less. Now has health regen for the buyer, but loses its health regen aura and part of its magic resist. Additionally, shields for more but has a significantly lowered duration. Like we said directly above, we’re sharpening the auras so you’ll still want them when they seem good (vs magic damage teams) but not so powerful as to be ‘good-all-the-time.’ In Locket’s case, we’re taking that sharpening a step further by amping the Solari Shield significantly, but making it much more timing-intensive; perfect at taking the edge off of a Flash + Tibbers, but much less useful against devourers gnawing your face off. Locket’s still an amazing pickup vs double AP and the like, but requires a bit more thought in the moment. Costs more, but now with more health regen. Movement speed lowered but now drops off gradually instead of instantly. An underrated item, we’re cleaning up the passive to make the play around turrets smoother. While an incredibly stat-efficient item already, Zz’rot is often seen more as a ‘gimmick’ and less of the neat strategic pushing tool it should be. A boatload of extra range (is distance measured in boats?) and increased survivability will grant teams seeking alternate forms of pressure a ticking-void-bomb’s worth of siege potential (given that you can protect that gate in the first place). Failing that, you can always leave it in a lane while fighting your opponents in the jungle - often netting you two objectives at once. Now you’re thinking with portals. More health regen and Point Runner decays over time. Shaving off some of the cost to make it an easier lane pick-up. Lookin' great, shroud. Costs more. Changin' it up. By contrast, Warden's has been bulking up. We'll still buy you, even if you cost more. Frozen Heart’s been a statistical outlier for a pretty long time, so we’re lowering its raw cost / power efficiency. You might call us heartless, but we’re pretty sure the item’s still great. Costs more. Reflects less damage back to attackers, but scales with armor. Another major outlier in terms of effectiveness, Thornmail is at its strongest when you can comfortably stack health. While we aren’t rocking that particular boat today (armor + health is kind of always good), we’re tossing in a hook to make the item also scale with armor-stacking, but in a different way. This also creates neat synergies for champions with on-demand armor buffs (like Leona or Rammus) which is pretty OK by us. Important to note - if for any reason you experience a decrease in armor % (say, a stray Black Cleaver to the face), Thornmail will ignore that when calculating its damage. Way to be, Thornmail. Costs less, but has less health and armor. Slow duration normalized, now reduces all critical strike damage. Higher up-front health, but lower multiplier. While no longer the dominant pickup it once was, Cinderhulk is a late-game focused item for a class of champions that already flourish at the end of the game. While this nerfs the 6-item health pools of Cinderhulk users, the boost upon completion represents a stronger mid-game to keep from being totally eclipsed by their Devourer and Runeglaive brethren on the way to full-build. Costs less, but loses the catalyst passive on upgrade. Further differentiating between Catalyst’s different build paths while introducing a trade-off for upgrading Righteous Glory as a first item. The lowered cost should make it easier to upgrade when you want it (and supports don’t mind it getting cheaper), but as a first item Righteous Glory be a tough choice between wanting the initiation power or continued laning safety. We've released another update to the Instant Feedback System. Our focus this time is on improving how the system assesses the toxicity of short chat logs and messages sent by players who are already chat restricted.